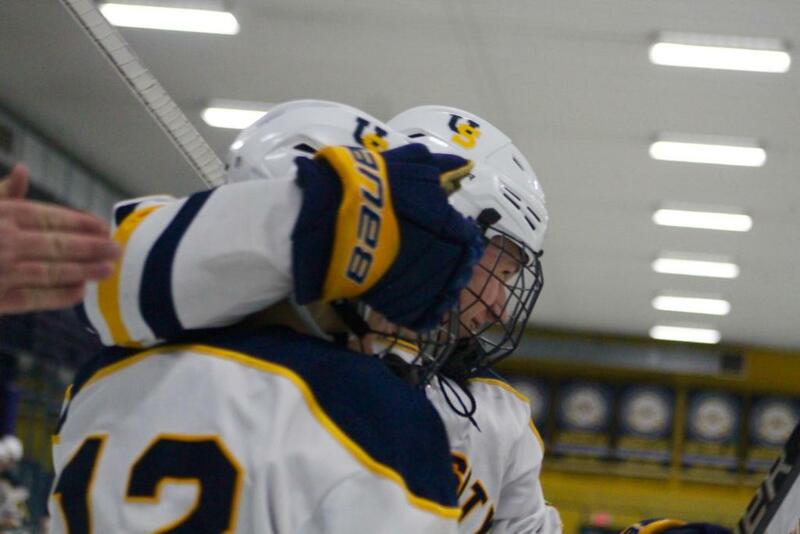 The game on Friday, February 8th at University School featured two of the top-ten boys’ hockey teams in Wisconsin, the University School Wildcats, ranked second in the state, and the seventh-ranked Onalaska/LaCrosse Hilltoppers. Each year these two cross-state teams compete in a late season contest. 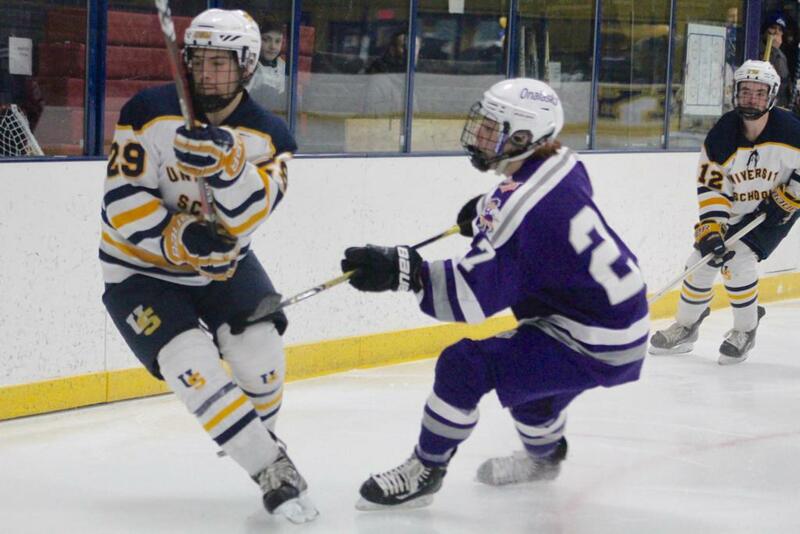 This year, the rivalry was heightened; both teams entered the game with 20-win seasons. The Wildcats began the game at 20-2 and the Hilltoppers arrived in Milwaukee with a 21-2 record. 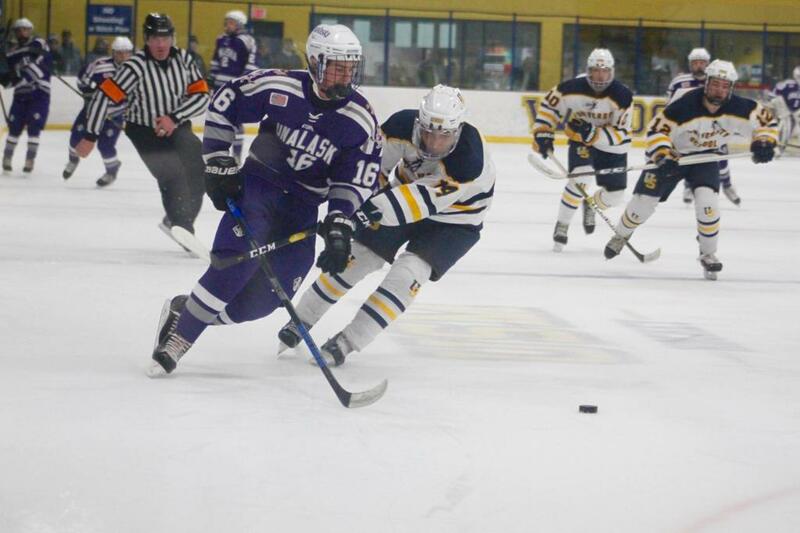 In the non-conference contest that ensued, the Wildcats demonstrated their hockey skills by defeating their guests, 6-1. 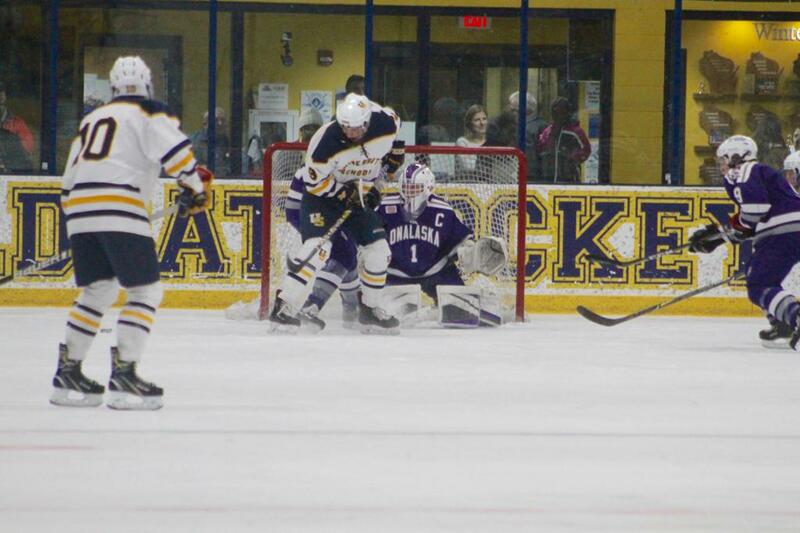 The USM players outshot the Hilltoppers in the game. 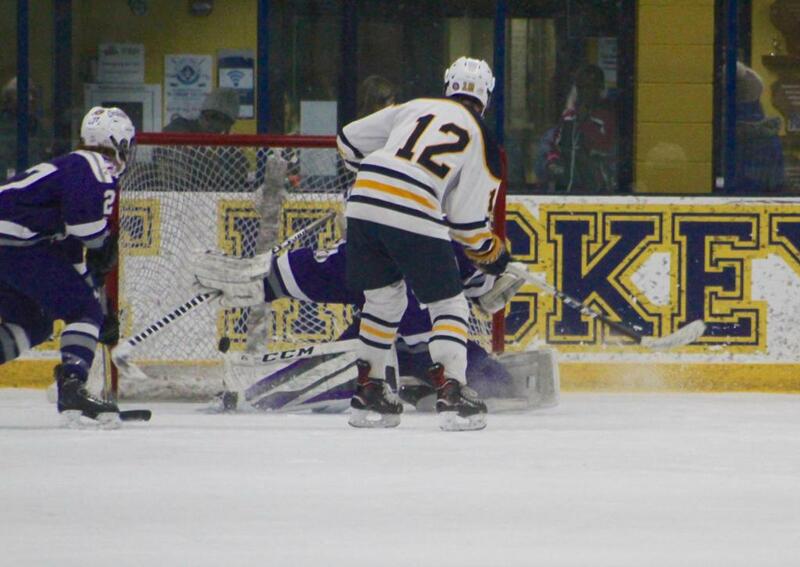 The Wildcats fired 38 shots at Jack Weber, Onalaska/LaCrosse’s goalie. The Hilltoppers managed to put 14 shots on Frank Fee, who served in the home team’s net. There was only one goal scored in the first period. It came off as a beautiful tic-tac-toe passing play. 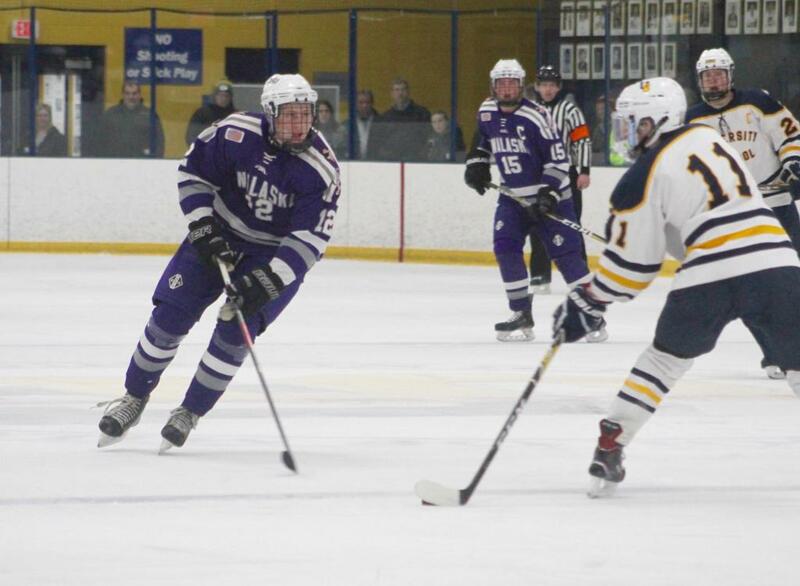 Robby Newton got the puck just inside the Onalaska/Lacrosse blue line and whizzed a pass across ice to Tyler Herzberg in the right circle. Herzberg immediately passed back across the ice to Ethan Mann in the low right circle. Mann one-timed a wrist shot past Weber at 12:10. USM broke things open with two goals in the opening two minutes of the second period. Mann scored the first of these at 1:06. 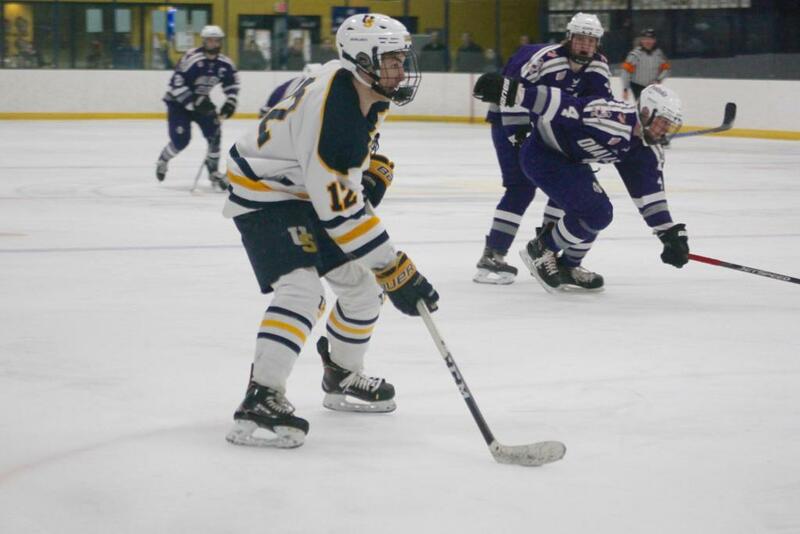 Defenseman Ethan Ford stopped a Hilltopper breakout at the blueline. Newton swept past and got the puck. He sped into the high slot and took a shot. Mann tipped it in giving USM a 2-0 lead. Seconds later, it was 3-0. From the center ice faceoff, the Wildcats moved the puck into the Hilltoppers’ end and forechecked. Peter Ells chased down a loose puck behind the net and tapped it to Carson Mogush in the left corner. Mogush sent it to Herzberg in the low slot and Herzberg swiftly swept it in at 1:39. 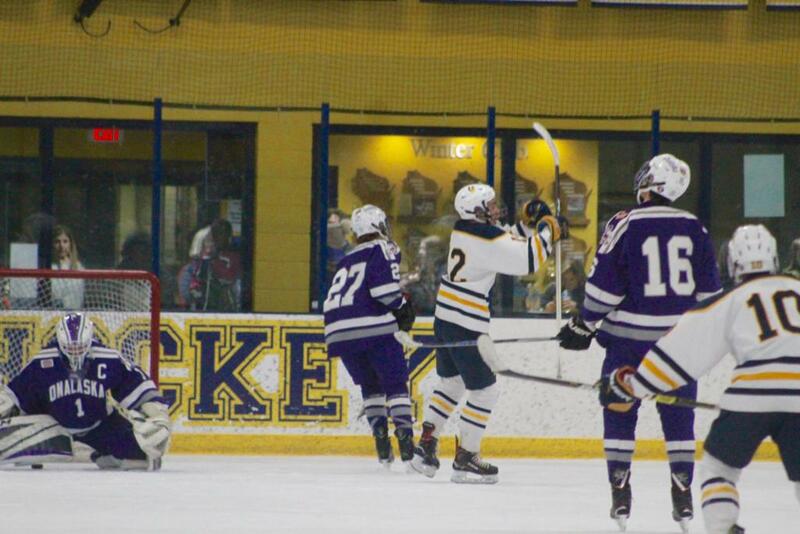 The goal enthused the Wildcats and they seemed to skate with zest for the remainder of the game. Their continued efforts paid off with another goal at 5:51. The Wildcats were on the power play. In the USM zone, Ford knocked the puck to Mogush who skated behind the net and then took off. 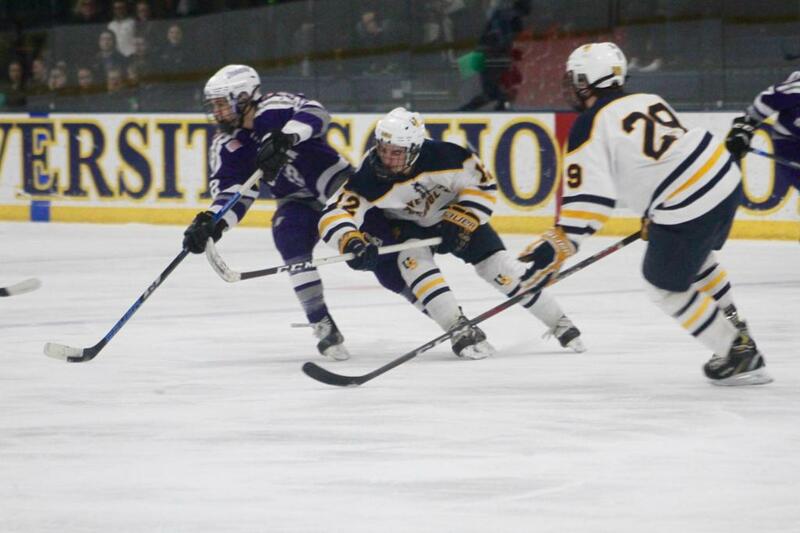 As he crossed the Hilltoppers’ blue line, Mogush dropped a pass to Herzberg. 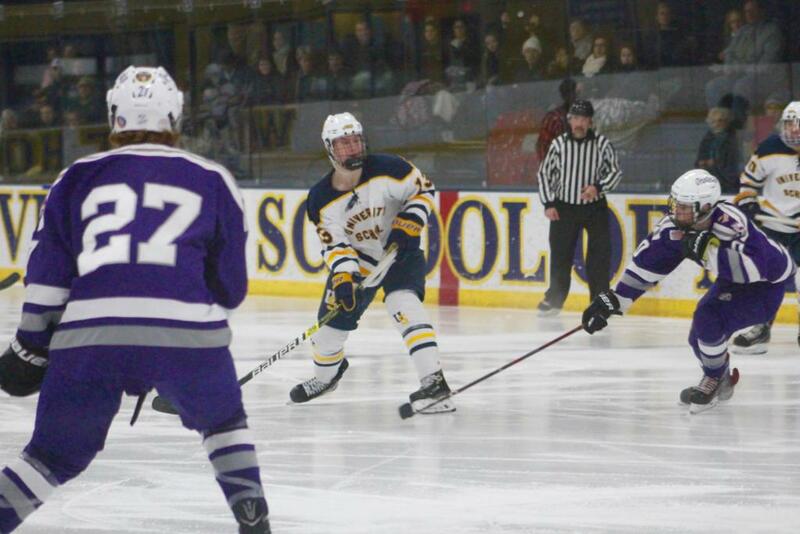 Herzberg moved into the high slot and gunned a shot into the net. The Wildcats upped the score to 5-0 a few minutes later. Along the left boards in the USM zone, Sterling Cooke knocked the puck past a forechecker. 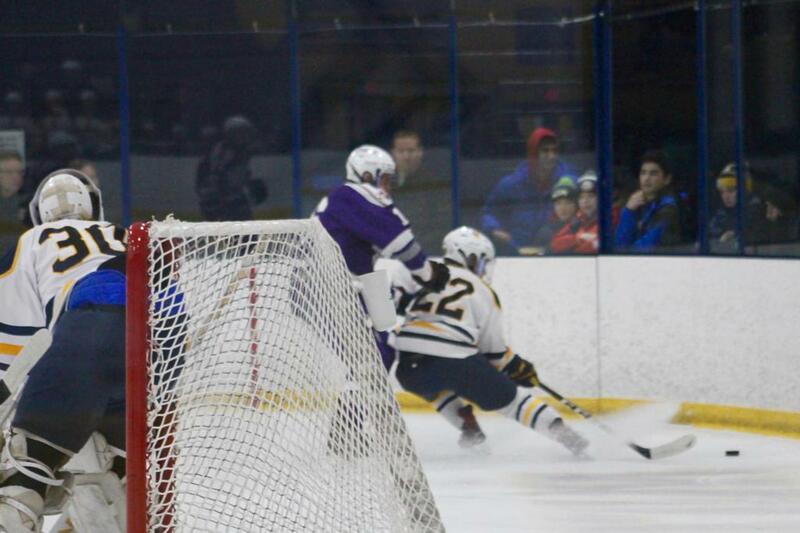 Mann swooped in like an eagle taking its prey and grabbed the puck. He flew down the center of the ice. 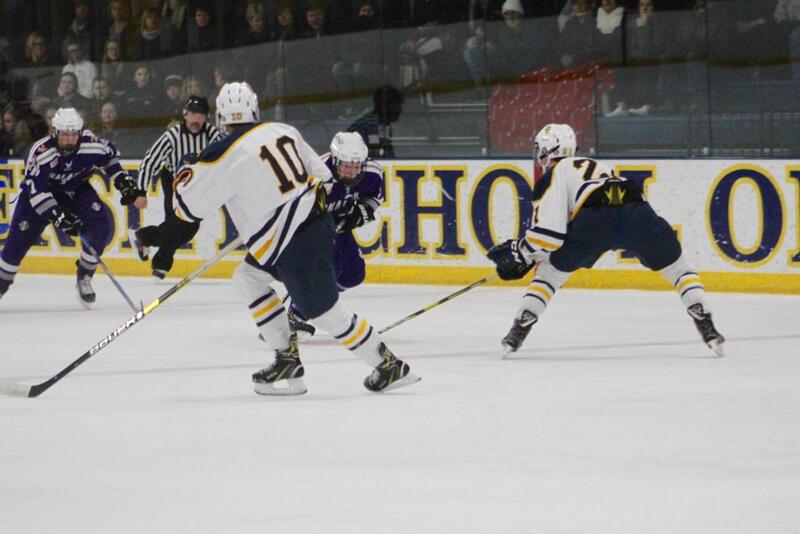 As he crossed the Hilltoppers’ blue line, he swerved toward the right. Without seeming to look, he passed the puck to Ford who was roaring down the slot. Ford blazed the puck into the net at 11:45. 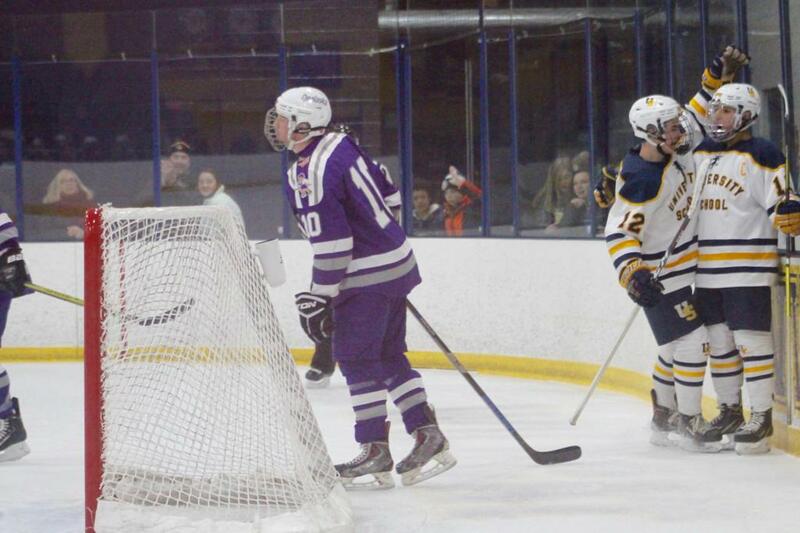 The Wildcats tallied their sixth and final goal less than a minute later. 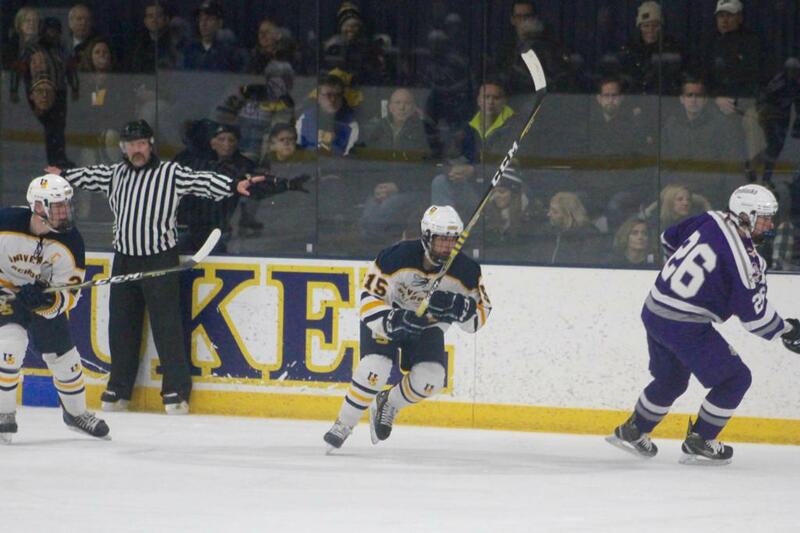 Skating out of the USM zone, Ford head-manned the puck to Noah Eghbali near the Hilltopper blue line. Eghbali pushed it in deep. He then raced past a defenseman to get the puck below the goal line. 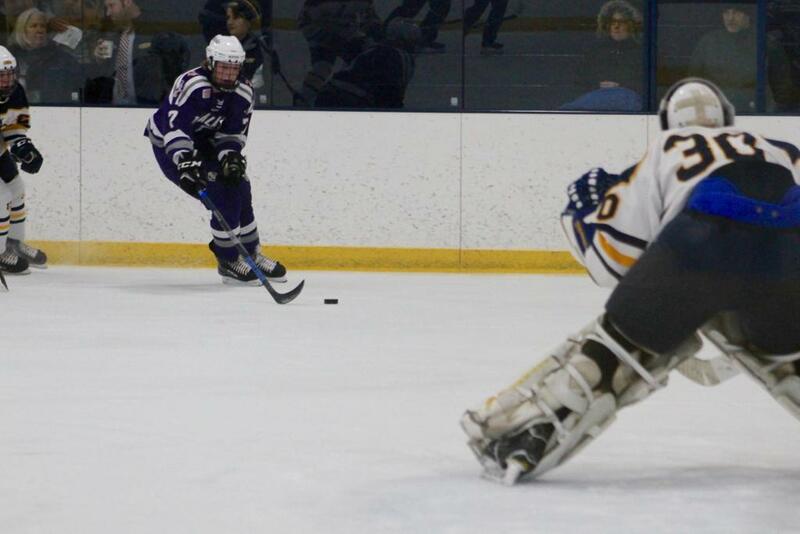 He turned and passed it to Blake Carey who had barged into the low slot at the edge of the crease. Carey crammed the puck under Weber at 12:08. The Hilltoppers scored their lone goal at 0:56 of the third period while on a power play. 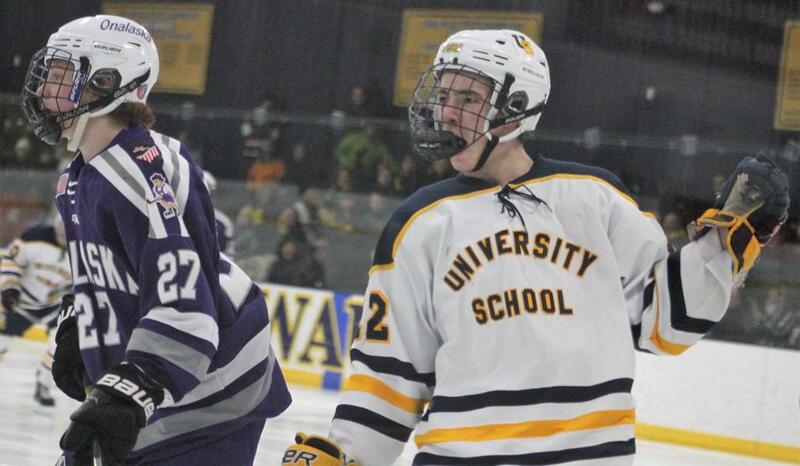 From the left side boards in the USM end, Max Popp passed the puck to Ryan Gargo at the point. Gargo then took a low shot at Fee. 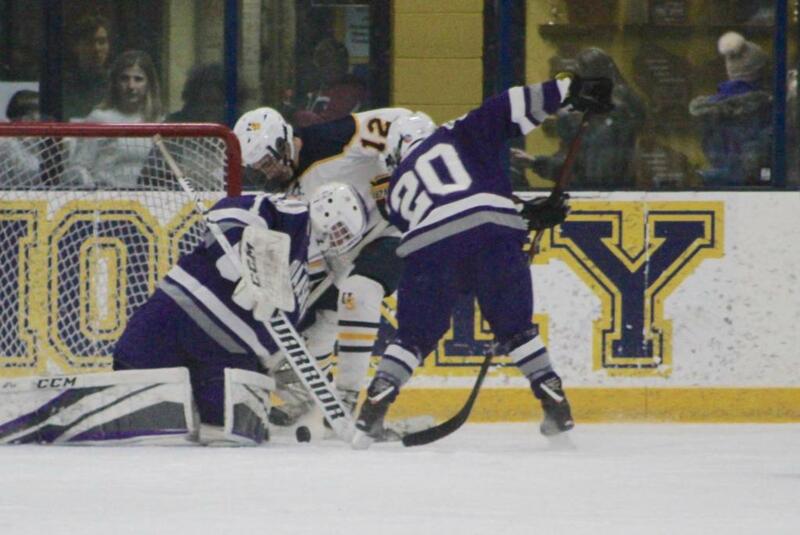 Jake Ziegelbein was unmarked in front and knocked the rebound in at 0:56. The Wildcats’ win was a fitting result for the team’s seniors, Fee, Ford, Mogush, Newton, and Ryan Kennedy who the team and the fans honored with Senior Night. Onalaska/LaCrosse heads into the state tournament playoffs with a stellar 21-3 record. USM is now 21-2. 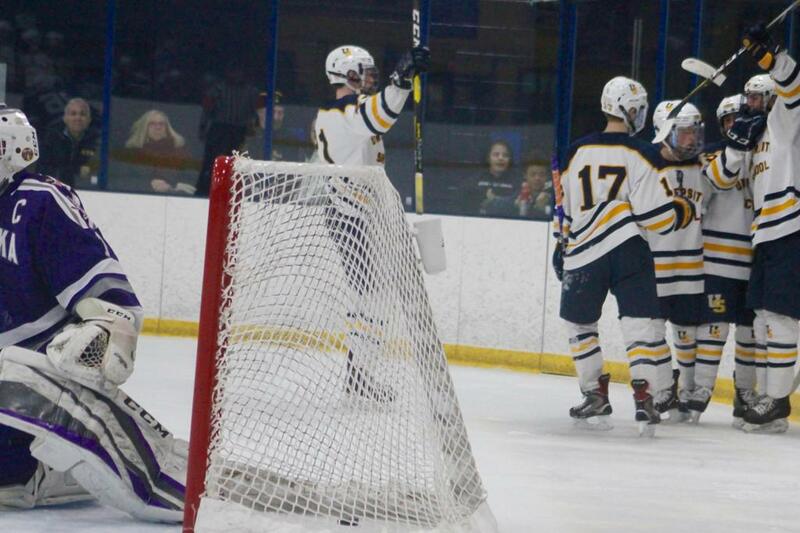 The Wildcats conclude regular season play when they take on Hudson in a non-conference game at 3:00 p.m. on Saturday, February 9th at USM.